For anyone who doesn't know this is one of the most popular chinese novels, the plot seems to be slow at the start but from what I assume based on the Chinese reviews it really picks off after he gets to the deity realm. At the time I'm writing this, the translation has just reached 27 chapters, very little compared to the whole series and may be premature for me or earlier revewers to applaud or ridicule. So far, it appears very similar to any other xianxia out there. 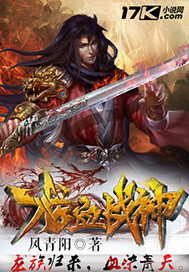 Up to this point, it certainly is a prime reading material for xianxia lovers, but perhaps will not be attractive... more>> for people who typically read more diverse genre. Still, it has potentials to grow and attract wider audience.... if the author does'nt mess it up. at list do 2 ch par DAY!!!!!! I have been reading a lot of novels such as ATG, MGA, SS, PMG, CSG, CD. The quality of this novel is nothing less and has the potential to be the best. From the first few chapters, seems to be really interesting. Recommended for anyone that enjoys novels such as MGA, PMG, ATG and so on. One magical sword, girl included, a free trip to a forest where cultivators go to die, oh, and don't forget you have to go back in time to rescuse mom from sleazy slimeball. Overall, I thoroughly recommend this read to those who are looking for a great, harem-free, and of course, dragon-infused cultivation novel. Hopefully this novel is picked back up soon or another translator picks it up cause let's face it. Dragons are awesome and everybody could use more Dragon in their lives. It is really not bad, like most it is slower to start, and not a lot is revealed about the future which is something most good xianxia novels do. It is really too early to rate it. The story is pretty interesting so far. Eventually, all xianxia webnovels will be repetitive, I am hoping that the author will fare well in this part. Note: This review was done for the first 7 chapters of the story. Will update accordingly. The writer is extremely immature, and has very little understanding of how people think and interact, outside the peasant farm he clearly lives on. This is especially highlighted by the MC's personality and personal goals turning on a dime every time the (especially female) antagonists have been outclassed. The bumbling moron of a MC just wanders along getting upgrades ex machina, and refuses to accomplish anything meaningful which would leave the reader with a feeling of satisfaction. I give it 4 stars because it's different. I like a lot of things about this novel but I hate the fact that the MC only drains the blood of beasts. The MC needs to be more brutal I feel. I still want to read more, maybe he matures once he's an inner disciple.